Aikatsu! – 168 | Mezashite! This whole setup for the Starlight Queen Cup is the most intense train we’ve had since it happened in season one. The huge thing to note in this episode is what “May Queen” means in this context. Rather than being a title for the girl during May Day celebrations, as it turns out there’s a breed of potatoes from the UK originally named Walker’s Seedling, which were then imported to Japan and became famous growing in Hokkaido. Hence the confusion many native English speakers like myself will feel considering this episode is still in January. The other minor thing to note, though you must be aware by now after four years, is how different the same song can be in different performances. The timing of today’s song changed in relation to the camerawork. Usually one lyric is sung for one or two cuts, and it’s very clean to time. However, today they decided to alter it such that each lyric starts at the end of one cut and continues onto the next, making it feel much more dynamic than usual. This is actually story-related, as you’ll see for yourself. We’re getting close to the S4 finale! Oh yeah, a suitable reward for digging the car out of two feet of snow! I have a sudden craving for potatoes after watching that episode. It’ll be interesting seeing the Potatoes start to compete with each other and how their friendship remains even as their individual paths may diverge. 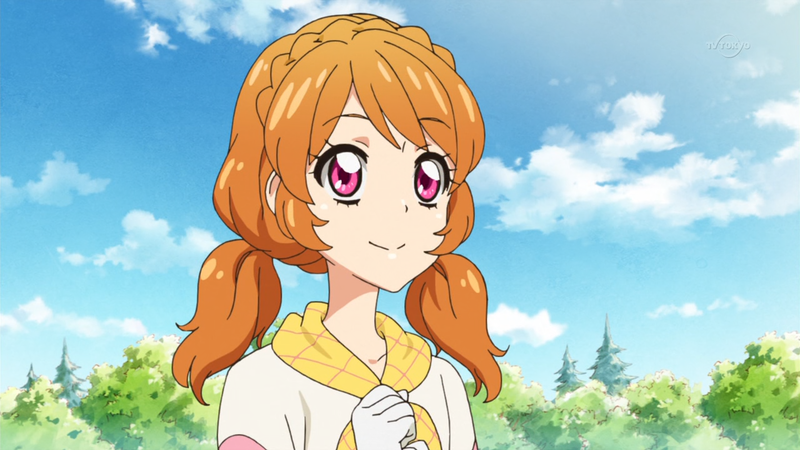 Also, was that Mikuru in the next episode preview?! Yes, I’m positive that was Mikuru. Isn’t she a Vivid Kiss girl as well? Yes, so while it perhaps shouldn’t have been surprising considering the next episode pretty clearly will see Hinaki asking Kayoko for a Premium Dress to wear during the Cup, seeing her again still got me pumped up for the next episode. On a side note, thanks for the note about the May Queen variety. I did a little looking around online and had not previously given much thought to how many different varieties of potato have been cultivated, and the differences between them. Pretty interesting, so thanks for piquing my interest, I learned something new. We’re almost at the S4 finale!